This 6" Italian Stiletto from AKC comes in the Lever Lock style with a Brazilian Horn handle and a flat grind blade. 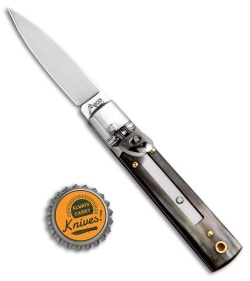 AKC specializes in collectible Italian stilettos made with traditional knife-making techniques. 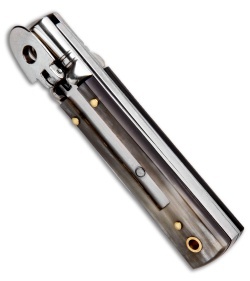 Brass pins add a classic finishing touch to the design. 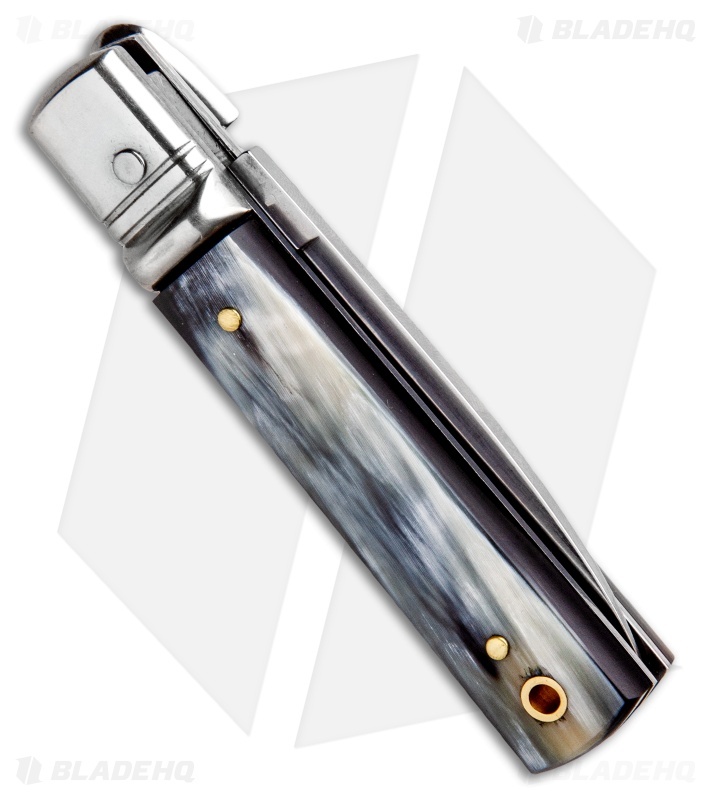 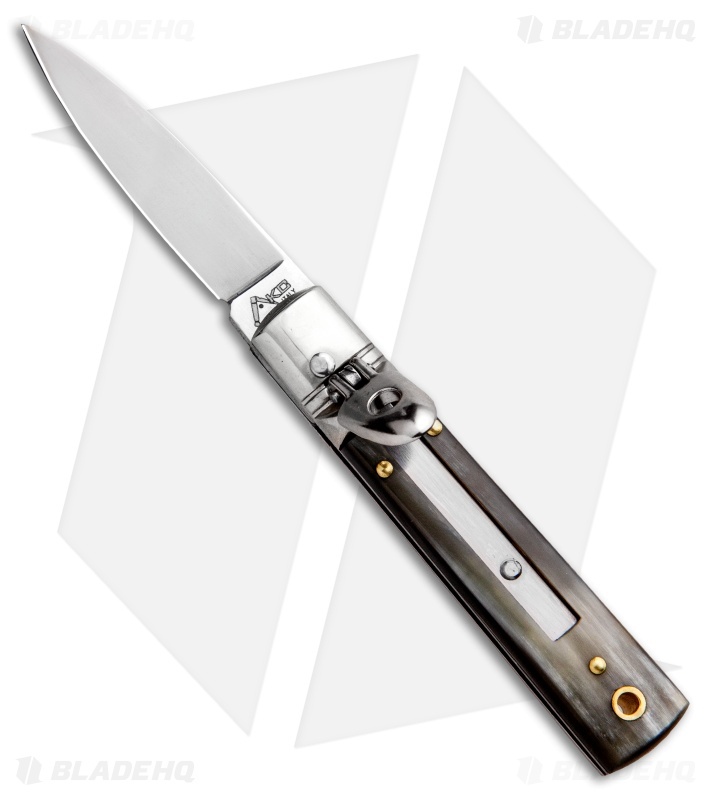 Add classic Italian style to your collection with the AKC 6" Lever Lock stiletto.